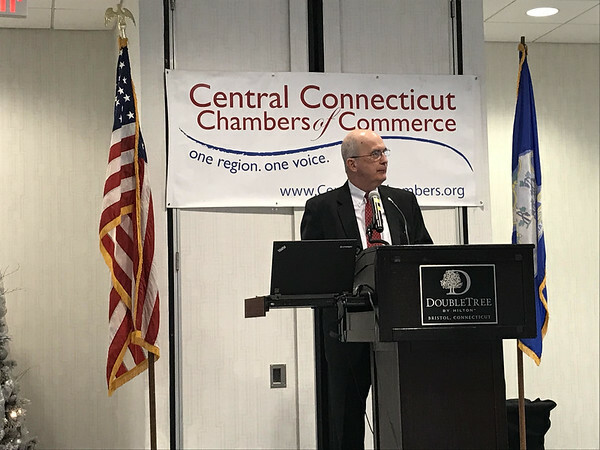 BRISTOL – Representatives from business organizations and the state gave an optimistic but cautious projection for the state’s business climate at the Central CT Chambers of Commerce’s Economic Forecast Breakfast Thursday. 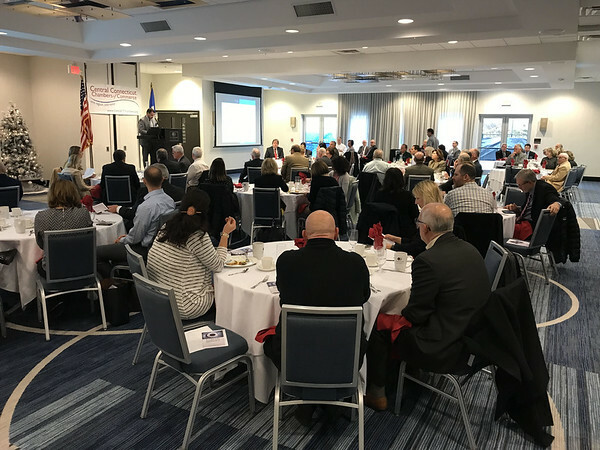 Patrick Flaherty, assistant director of research and information with the Connecticut Department of Labor, said that the national economy was overall performing strongly. Flaherty added that the “vast majority” of people leaving their job are doing so voluntarily. Flaherty said Connecticut has yet to recover all of the jobs lost since 2008. However, private sector employment was at an all-time high while public sector jobs saw a contraction. There has been a continued decline in finance and insurance employment, but over the past two years thousands of manufacturing jobs have been added in Connecticut. Bombard said that manufacturers are having difficulty finding trained workers. 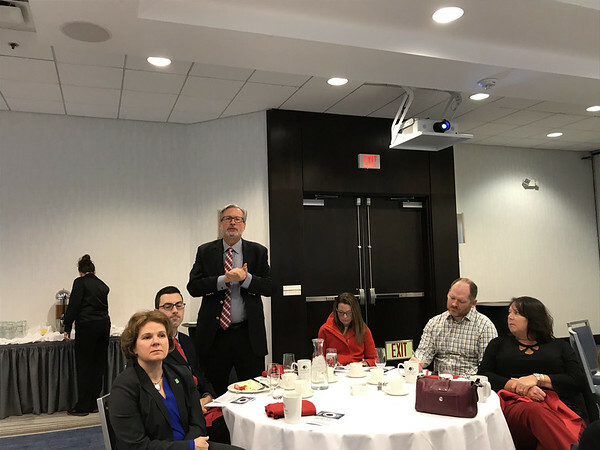 Locally, she said that the Bristol Technical Advisory Council, which includes city officials and members of private organizations, such as the Main Street Community Foundation, have been working to expose students to manufacturing and make educators aware of employers’ needs. 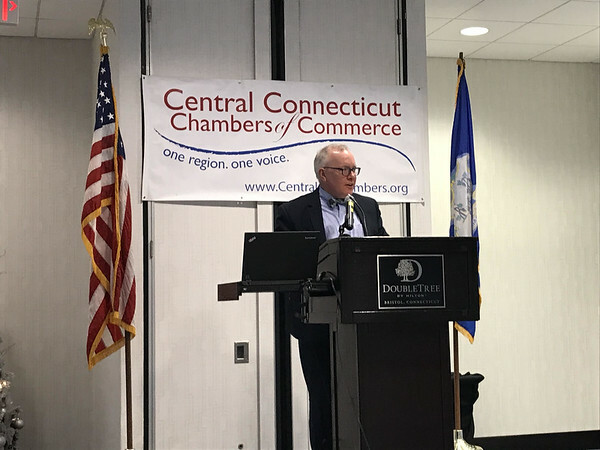 Joe Brennan, president and CEO of the Connecticut Business and Industry Association, said recent surveys of business owners showed they Connecticut’s business climate is declining. Brennan said that’s “disappointing” because he felt progress was being made. Business owners said the greatest advantage to owning a business in Connecticut is the proximity to Boston and New York and the quality of life. The surveys revealed that business owners believe job growth is remaining static in Connecticut compared to “moderate growth” nationally. They said government mandates were the biggest thing hampering business growth. Brennan said Connecticut has the seventh oldest population in the country and that business owners say it is difficult to find and retain Millennial employees. To help with this, business owners said that they are offering more flexible business hours, using “employee engagement and recognition” programs or offering tuition reimbursement. But Brennan said is encouraged by having Lamont as governor. Brennan said that budget problems won’t just be solved with spending cuts or tax increases, the latter of which he said reduces revenues by “driving away wealth.” He is optimistic that legislators will work together. Flaherty said there is a labor shortage throughout the country. “When the recession hit in 2008, the birth rate collapsed and it has not recovered,” he said. People may need to think about different types of careers or adjust their salary expectations and employers may need to re-train workers who are 55 years old or older. Flaherty said health care jobs are expected to increase nationally in the next 10 years and manufacturing jobs will likely decrease but Connecticut will see significant growth in that sector. Information technology jobs will increase nationally. When the meeting was then opened up to questions from the audience, state Rep. William Petit said that he had “yet to talk to any business owner in Plainville or New Britain who was happy about minimum wage.” Flaherty said that the labor department was in favor of an increase to $15 an hour. He said it was a matter of weighing the costs and benefits. Brennan said that business owners were unhappy with how large of an increase it was. They had dealt with 25 cent or 50 cent increases, and now a $4.90 increase over five years was being proposed. He added if people could get $15 an hour working at McDonalds, business owners may have difficulty attracting people for higher skilled jobs. He said business owners have proposed a “training wage” – a lesser amount for 16 or 17 year olds, seasonal workers and temporary workers. City Council member Peter Kelley asked the speakers what the remedy was for the population decline. Flaherty said Connecticut should become a “pro-immigration state” and Brennan agreed with him. Posted in New Britain Herald, Business on Friday, 11 January 2019 18:47. Updated: Friday, 11 January 2019 18:49.